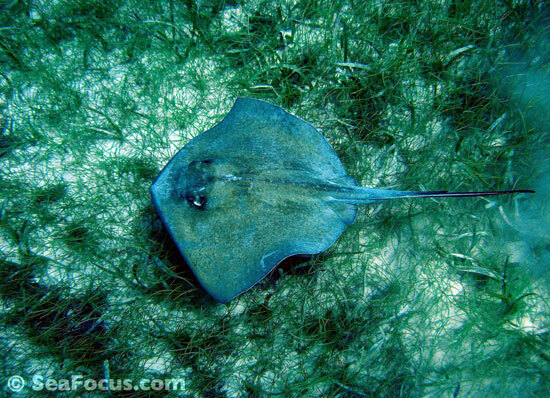 Anyone who dives will probably already know that rays are related to sharks – although they look nothing like them – and that rays drop loosely into two groups, those that sting in some way (electric and sting rays) and those that don't, such as mobula and manta rays. 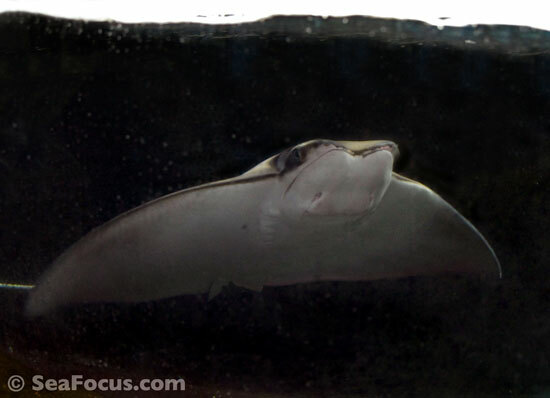 Stingrays have a barbed stinger, and despite the negative publicity at times, these rays tend to be placid creatures that avoid contact with others. 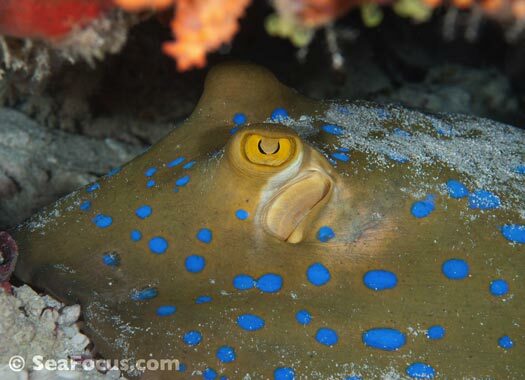 They hide under wrecks, inside caverns or on the reef and only ever sting in self-defense. 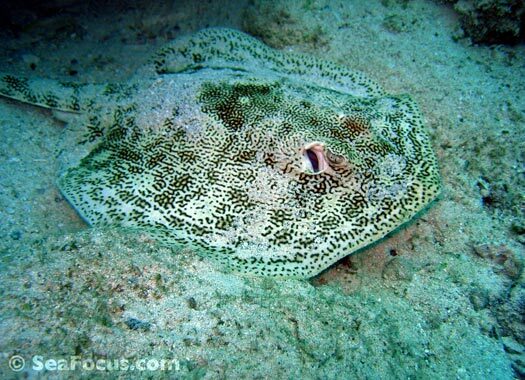 Depending on the species, the stinger can be up to 35 centimetres long and has grooves that contain venom glands. 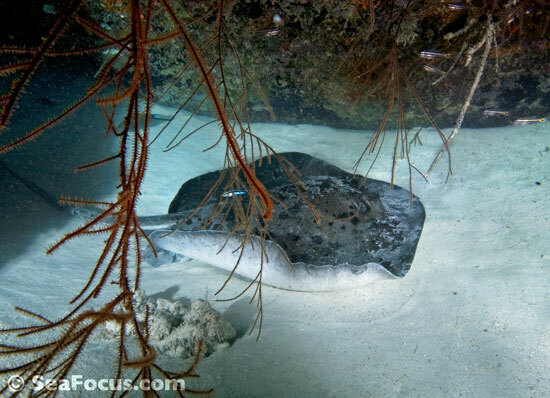 Some stingrays have more than one stinger. 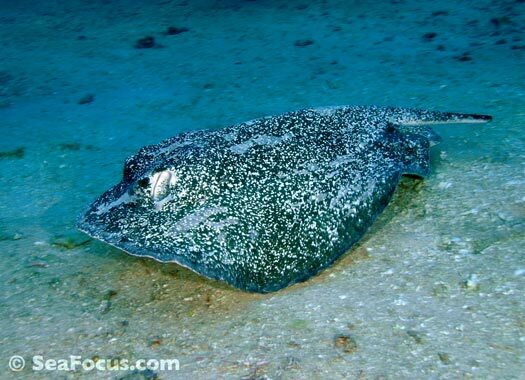 Electric rays are a different shape to stingrays with a stubby tail and extended, flat pectoral fins containing a pair of kidney-shaped organs. These generate an electric current, which varies from 8 volts up to 220 volts. 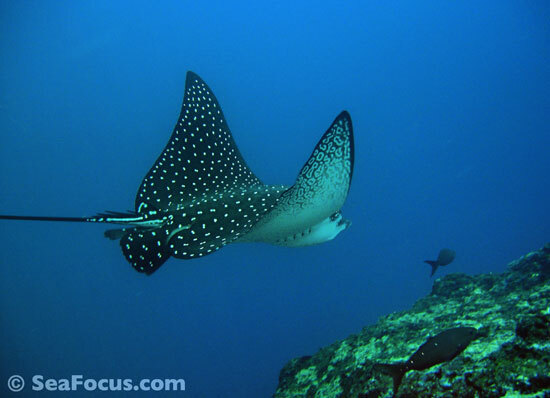 This is used as a defense mechanism and also to immobilize prey. 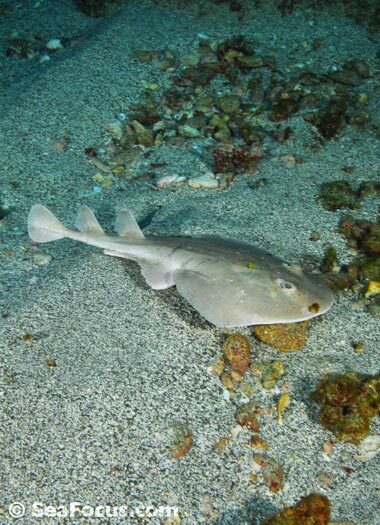 Sometimes strong enough to stun humans, the ancient Greeks and Romans used these fish to treat a variety of ailments. 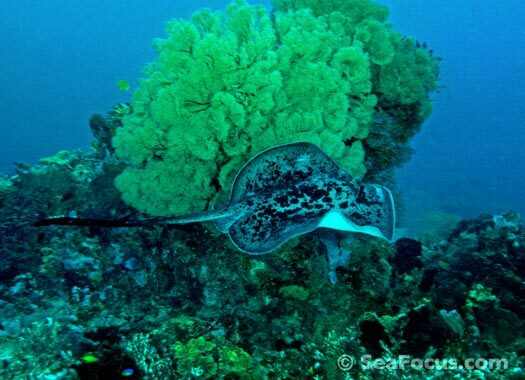 Extending away from Mnemba island, this gently sloping reef leads down to the sandy seabed. 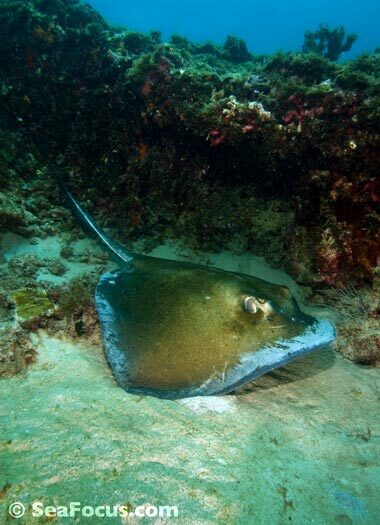 Dotted with lots of small outcrops of rock and coral, there was a surprising variety of fish hovering above them and an interesting critter or two beneath every one. 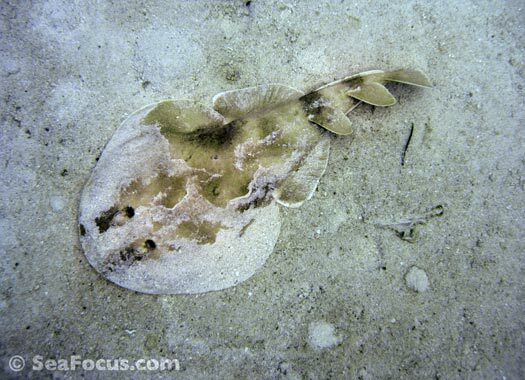 We spotted nudibranchs, mantis shrimp, and leaffish in pink and beige. 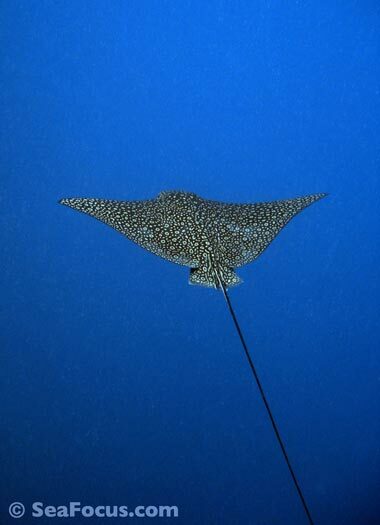 We gave up counting the number of blue-spotted rays as there seemed to be one peering up every time we looked under a ledge. 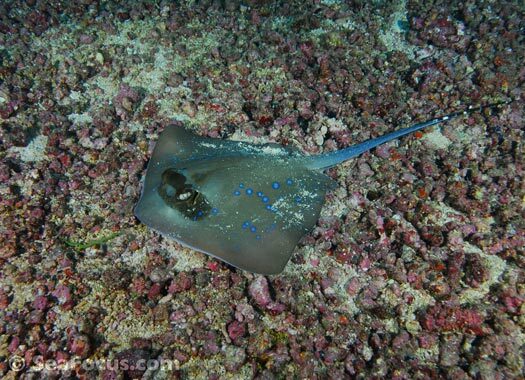 Blue-spotted stingrays and Blue-spotted ribbontail rays are easily confused. 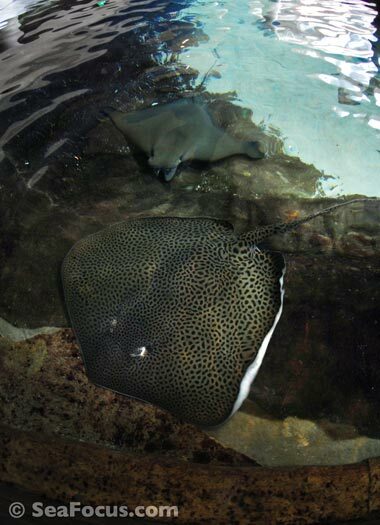 Take a look at their tails if you can – the blue-spotted stingray has white bars on his and usually a dark eye mask. 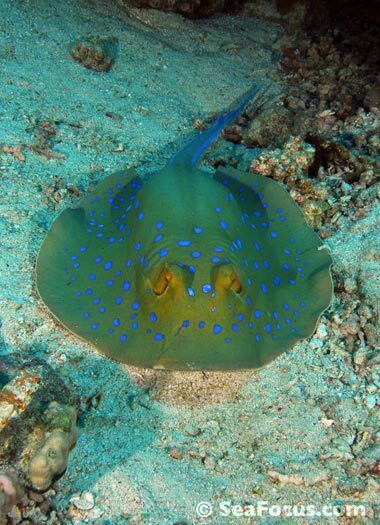 The Blue-spotted ribbontail ray only has pretty blue spots.